『진실주집(眞實珠集)』은 송나라 예묘행(倪妙行)이 여러 선사들의 가(歌)ㆍ명(銘)ㆍ심요(心要)ㆍ법어(法語)ㆍ시(詩)ㆍ문(文) 등에서 선(禪)과 관련된 글들을 선별하여 3권 1책으로 편찬한 책이다. 『진실주집(眞實珠集)』은 1462년(세조 8)에 목판으로 새긴 간경도감판(刊經都監版)을 10년 뒤인 1472년(성종 3) 6월에 후쇄(後刷)하고 김수온(金守溫)의 발문(跋文)은 갑인자소자(甲寅字小字)로 인출(印出)하여 간경도감판 원문(刊經都監版原文)에 덧붙여 간행한 판본(版本)이다. 간경도감판(刊經都監版) 『진실주집』은 보물 제921호와 보물 제1014호로 지정된 예가 있으며 후대의 번각본도 전래되고 있으나, 김수온의 발문을 붙여 간행한 판본은 매우 희귀하다. 이 『진실주집』은 보존상태도 양호하며 표지도 보상화문으로 제책 당시의 원형을 볼 수 있는 점에서 귀중한 가치를 지니고 있다. 발문에는 승하한 세조·예종의 명복과 정희대왕대비·성종·공혜왕후의 장수를 빌기 위해 인수대비(仁粹大妃, 1437~1504)의 주도로 인출된 불경(佛經)의 종류와 인출건수(印出件數) 등이 수록되어 있다. 당시에 『진실주집』은 200건을 인쇄한 것으로 기술되어 있는데, 이번에 지정된 『진실주집』은 그 때 인출된 200건 중의 하나이다. 『진실주집』은 조선 초기 목판인쇄기술과 발문 등을 통해 왕실의 불교신앙을 알 수 있는 귀중한 자료이다. 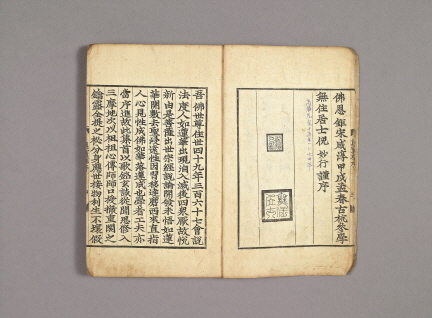 Jinsiljujip (Book of True Pearls), or Zhenshizhuji in Chinese, is a book of three volumes containing a collection of writings (including songs, aphorisms, sermons, poems and prose) on Seon (Zen, or Chan) by eminent Seon masters that was put together by a Buddhist follower of the Song Dynasty named Ni Miaohang. 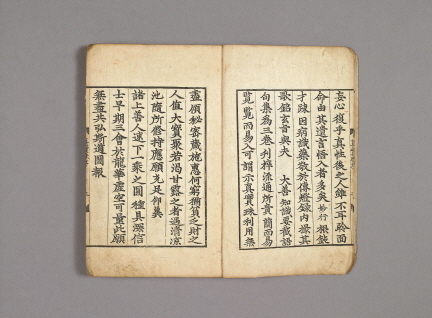 This edition was printed in the sixth lunar month of 1472 (the 3rd year of the reign of King Seongjong of the Joseon Dynasty) with the printing woodblocks that were used for the publication of the Gangyeong Dogam (or Directorate of Buddhist Publications) edition ten years before. 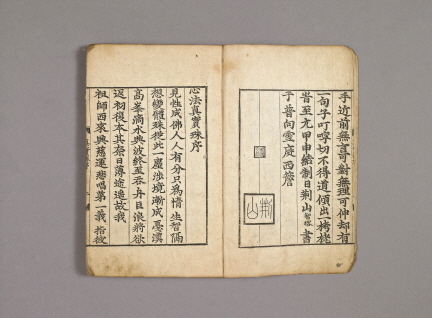 The postscript written by Kim Su-on and attached to the main text was printed with the small Gabin Types. The Gangyeong Dogam edition of Jinsiljujip has produced two Treasures, No. 921 and No. 1014, and its reproductions still remain, but those attached with Kim Su-on’s postscript are very rare. 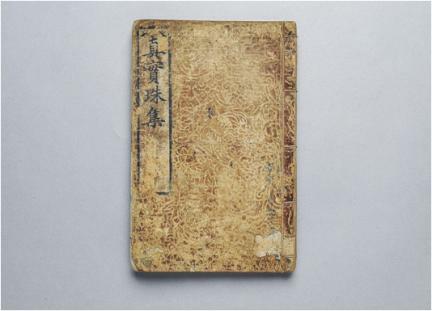 This particular book is considered valuable due to its good condition and to the Buddhist floral design decorating the cover, which provides important clues about bookbinding techniques during that period. 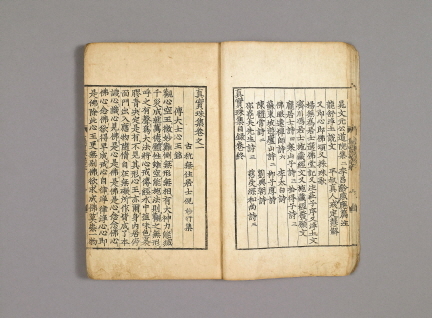 The postscript contains information about the types and numbers of the Buddhist scriptures printed under the patronage of Queen Dowager Insu (1437-1504) to pray for the everlasting peace of the spirits of King Sejo and King Yejong and for the long, health life of Grand Queen Dowager Jeonghui, King Seongjong, and Queen Gonghye. 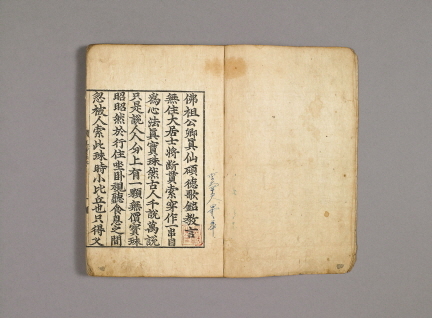 As one of the 200 books printed for this edition, this copy constitutes a valuable source of knowledge about the development of woodblock printing and Buddhist faith in the royal households during the early Joseon Period.